Lance Armstrong had one of the biggest success stories in sports history. A promising young cyclist early on in life, his career seemed to be cut short when he was diagnosed with cancer and had only a little bit of time to live. 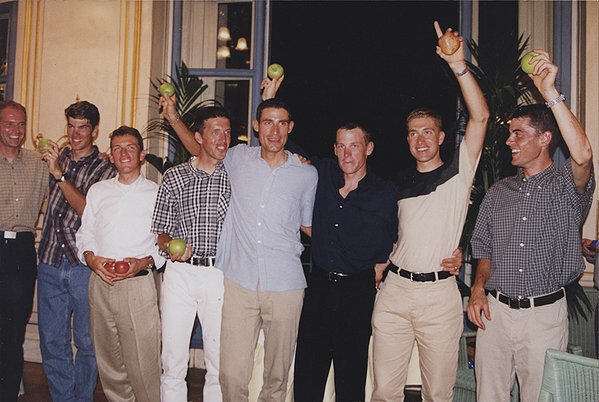 As you know though the man recovered and went on to win a record seven Tour de Frances. As everyone knows though the cyclist was stripped of his titles under allegations that he was doping during those games. Later on he admitted to doping, which just seemed to make the situation worse. 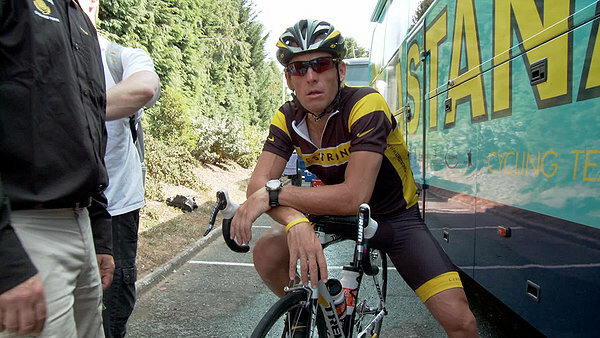 Alex Gibney's “The Armstrong Lie” was originally intended to chronicle Lance's big comeback and instead ended up being about the doping allegations. Lance comes back to answer some of the directors questions and many former friends and teammates also talk about instances where they saw him doping to give him a competitive advantage. Most claim that they even doped themselves, and a recurring statement that keeps popping up is “everybody in the sport dopes.” I admit that in regards to the doping allegations I've always been a little bit on the fence about them. I found the fact that Lance lost all of his titles and wins without there being any solid proof of him doping to be a bit strange. Even after he admitted to doping I wondered whether or not he was finally coming clean about his past or whether he was just trying to save face. Watching Gibney's movie makes a stronger case for the latter than the former. 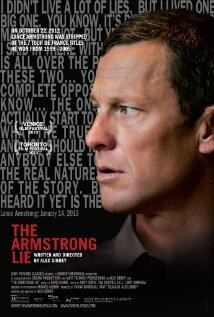 “The Armstrong Lie” is usually interesting to watch, but the film doesn't make a strong enough case that Lance really did anything wrong. Like all the other reporters he doesn't provide a shred of evidence to prove that Lance doped. The only people who testify against him are all former teammates who strike me as bitter for not being as successful as him. Many of the characters mention that Lance is a very vindictive person, who sets out to humiliate anyone who crosses his path. With the exception of a news clip where he chews out a reporter for asking a stupid question there is no evidence that he is vindictive. No video clips, no recorded phone calls, or even e-mails that back up anything his former teammates say. Even Michael Moore had questionable health insurance applications when he decided to go after the health care system. Considering Gibney directed one of my favorite documentaries in the past fifteen years (“Enron: The Smartest Guys in the Room”) makes this all the more disappointing. His previous films have shown lots of great detective work with damning evidence, and the facts speak for themselves. The fact that Gibney has to actually tell the audience in the end that Lance is a fraud creates two huge problems. The first is that as a documentary filmmaker you aren't supposed to make bold claims like this without evidence, but the second problem is the fact that he has to tell the audience Lance is a despicable person speaks volumes about the lack of proof there really is behind the claims in the first place. For the most part Lance comes off as a nice guy. He also comes off as a generous man to people with cancer and always full of optimism. There are times we can tell he regrets saying certain things in the past, but for the most part he doesn't come off looking very bad at all. It's as if the whole world claimed the man was a monster and forgot to let him in on this known fact. Let's ignore on the speculation for a moment though. Let's say that he did dope, that he doped in all the races he raced in, and let's say that everyone else was also doping. Taking all that into consideration - from my perspective - Lance Armstrong won all seven Tour de Frances fair and square. If everyone was taking the same EPO drug (which doesn't enhance muscle or speed, but merely provides the body with more oxygen) then in a very real sense they were all on the same playing field. That means Lance winning was because he had something extra the EPO couldn't provide. 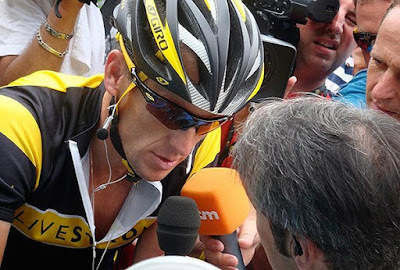 “The Armstrong Lie” comes off as vindictive and bitter, without any proof as to why it is this way. Chances are Lance did dope, but judging by this movie I don't think that's a failure on him so much as it is a failure of the sport that allowed everyone to dope in the first place. Parents, there are moments of brief strong language. Recommended for ages 14 and up.